The Berkeley Pit in 1972. The community has many common misconceptions about the Berkeley Pit. This section will address a few of those most often heard false statements and try to set the record straight. There are two reasons why the Pit will never overflow. First, the 1994 Record of Decision and 2002 Consent Decree established the maximum level that the water will be allowed to reach to make sure the Berkeley Pit is lowest point in the cone of depression (see center graphic). Wells to monitor water levels have been set up. Failure to keep the water below the 5410′ elevation would result in steep fines for BP/Atlantic Richfield and Montana Resources. Second, the Horseshoe Bend Water Treatment Plant is already in-place and operating. It has the capacity (7 Million Gallons per Day) to treat water from the Berkeley Pit, when it becomes necessary. This will ensure the water level remains below 5,410′. 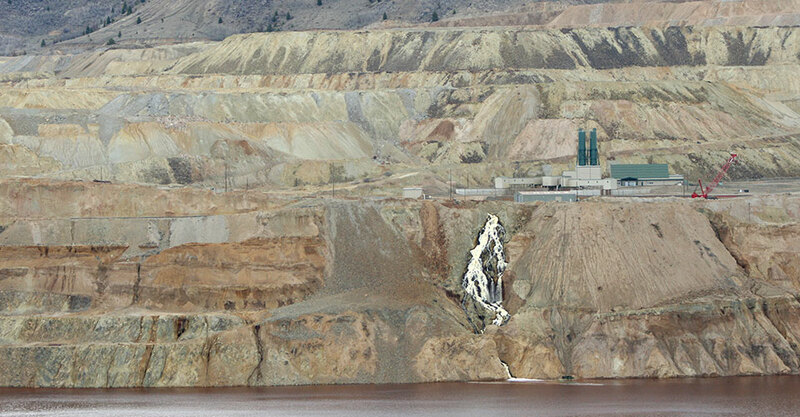 The Horseshoe Bend Water Treatment Plant will empty the Berkeley Pit. 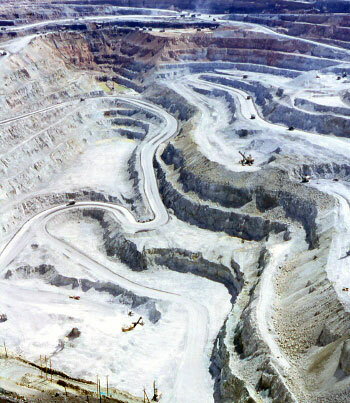 In the 1994 Record of Decision, the agencies decided that it would be unfeasible for the Potentially Responsible Parties (PRP’s) to ever completely empty the Berkeley Pit. The remedy selected for the Berkeley Pit is to treat all water inflows to maintain the level below 5,410′ above sea level. Congress is cutting the national Superfund program and the operation of the Horseshoe Bend Water treatment Plant will be discontinued. The ‘Butte Mine Flooding Superfund Site’ is the responsibility of BP/Atlantic Richfield and Montana Resources. Thus, the plant will not be affected by any changes to the EPA’s Superfund Program. The legally binding Consent Decree, which was signed by the responsible parties in 2002, established the financial commitment to operate and maintain the water treatment plant in perpetuity.